Phone the UK Visas and Immigration (UKVI) contact centre helpline via this number 0300 123 2241 for settlement enquiries, to apply for a work visa, to track an existing application and to extend your current stay in the country. If you have not yet applied you can call this helpline for details about the requirements you must pass before you are granted a UK visa, which is particularly important for work and study visas. Moreover if you have lost your current visa documents you can phone this helpline for emergency replacements. Furthermore if you are having technical difficulties when submitting a visa application using the UKVI online service you can call this helpline for troubleshooting support. For example you can call this number to get password reminders so that you can submit the appropriate payment or appointment request using your account. Please have your application reference number and your address ready so that they can identify your account as swiftly as possible. The UKVI helplines are open from 9am-4:45pm Monday-Thursday and 9am-4:30pm Fridays (UK time) therefore please note you will be unable to get support for a visa application on weekends as well as bank holidays. Calls are charged at standard UK local rates which means you will pay an access charge as well as a per-minute fee which depends on when you make the call. Therefore you can even phone the UKVI support team for free if you have free inclusive minutes from your provider, however please check with them for full details about call costs before you dial. Contact UKVI for citizenship and nationality enquiries by calling their dedicated phone number 0300 123 2253 to apply to become a UK citizen after living in the country for the requisite number of years or through your familial heritage. The naturalisation office will then contact you within six months to confirm whether your application to become a British citizen has been successful or not. Currently European citizens can use this service for fast-track applications however this is likely to change once the UK leaves the European Union. You should also contact this team to book a place at your local test centre to take the knowledge of English and the life in the UK tests which are pre-requisites for you to become a citizen. Contact UKVI to anonymously report an immigration crime over the phone by calling the Immigration Enforcement helpline 0300 123 7000 which is open 24 hours a day, seven days a week. UKVI was formerly part of the wider UK Border Agency (UKBA) however this is now defunct and the operations are run by different governmental entities. For example if you believe someone living near you is in the UK illegally you can phone this helpline to check their current status. If you suspect a more serious crime is occurring, for example an organisation near you is involved in human trafficking you should contact the police directly by calling their emergency contact number 999. Contact UKVI to sponsor an employee or student by calling their employee & education helpline 0300 123 4699. 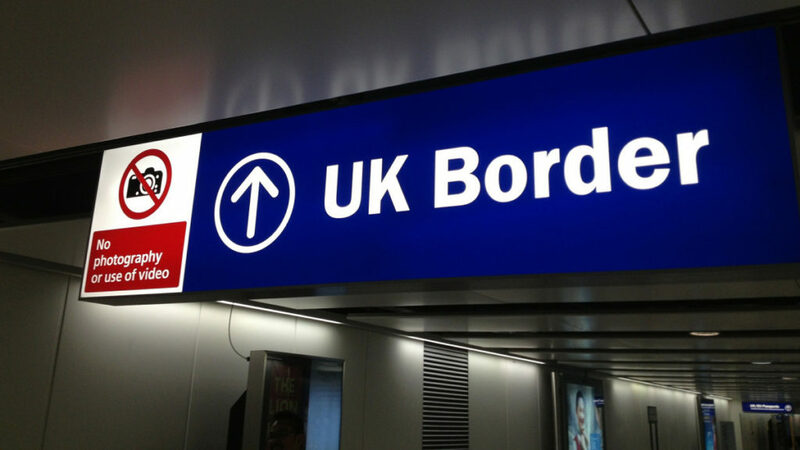 This is particularly important for work visas as your employee may have their rights to stay in the UK terminated if you do not inform UKVI that they are working for the company that you represent. Phone the UKVI asylum customer contact centre on their telephone helpline number 0300 123 2235 to seek asylum in the United Kingdom and monitor your existing application. Moreover if you have already applied for asylum in the UK you may call this helpline to apply for weekly cash maintenance payments, for emergency accommodation and for medical support if you fall ill whilst living in UKVI residences. Please note that if you originally submitted your asylum application before 5th March 2007 you should instead dial 0151 213 4288. If you would prefer to contact UKVI in writing you can either send messages through the appropriate email form on their website or by sending letters to their head office postal address. 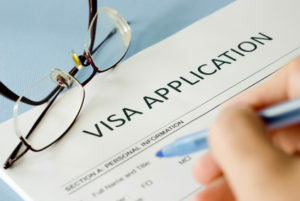 Visit the UKVI website to contact visa and immigration advisors via email, where you will also find links to helpful web-forms for you to submit applications online. You can write to UKVI by sending your letters directly to their Liverpool head office postal address, however please note that this method of communication is relatively slow so please either call their telephone numbers or email them in emergencies.